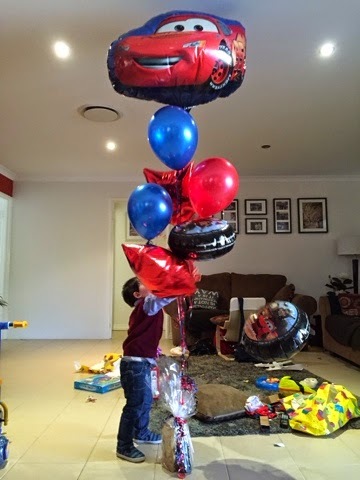 My toddler love turned 2 and I am one happy mummy. My son turned 2 and we love birthdays in our household so my days off were spent with the birthday boy - finding presents, wrapping presents, returning presents - the works! Make-up wise - I am stuck! I haven't been trying out new products that are worthy of a post. My skin is not very happy the last week or so. I am still trying to find which product broke me out. I have a feeling that I need NUXE Creme Fraiche Serum back in my life STAT! Since my skin is not so happy, makeup application has been so meh. I bought new shoes last week and there is definitely going to be a post about it! Sneak Peak on what I got - Link! I accidentally found a foundation combo that works so well on my skin but I am not too sure it's blog post material. I basically just mix my NARS All day luminous and Covergirl Outlast foundations and I get this amazing finish on my skin. I think you all get how much I love those foundations. The biggest culprit of the no post shenanigans is Netflix. Surely binge watching Hoarders or Preacher's Daughters is the way to go these days. My YouTube time (aka research) has been replaced with Netflix. Anyway, I've got a few posts brewing so yay for that! There's a post coming up tomorrow and it's another Top Five with another lovely beauty blogger so watch this space.